Preparing your meals ahead of time and freezing them takes all the guesswork out of “what shall I eat today?” When you have a stock of options in the freezer, those days where you can’t be bothered to cook or when you have nothing in the refrigerator becomes less of a hassle. All you have to do is open up the freezer and a pick out a healthy and nutritious meal that you prepared earlier. Cooking healthy meals ahead of time and freezing them gives you a quick and healthy alternative to eating out or grabbing take out after work. So, does this make healthy frozen foods a dieter’s best friend? 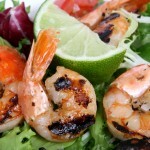 Prepare your food around your lifestyle – Finding nutritious and filling meals when you are dieting can be challenging. When you are on a diet, you want the meals you eat to fit seamlessly into your daily life. This means that you have to be able to prepare them quickly and easily without a ton of preparation. Freezing enables you to cook and prepare your food when you have time, and heat it up and eat it at your leisure. Failing to prepare is one of the key reasons people can’t stick to their diets. Nutritious – Frozen vegetables are a great way to get the nutrition you need while sticking to your diet. People assume that frozen vegetables are not as fresh or good for you as fresh vegetables. In reality, the majority of fresh vegetables are packaged and frozen shortly after they are harvested. This means that by the time they get to your plate, they are usually fresher than the fresh vegetables you get in the store. In addition to locking in the freshness, frozen vegetables are frozen when they are at their nutritional peak. The freezing process locks in those nutrients that your body needs which help you get both the vitamins and minerals you need in addition to reaching your diet goals. Balanced diet – Frozen vegetables aren’t the only way that you can make your diet easier and more efficient. There is a large and growing selection of frozen meat available in the grocery stores to help you make dieting and meal preparation a breeze. After you pick out your frozen veggies, head over to the frozen meat section and pick out some options that you enjoy. Frozen meat is easy to keep in the freezer and helps you always have a selection of nutritional meat on hand to help you stick to your diet and avoid ordering take-out food. Always have healthy food to hand – When you have a stock of frozen vegetables and meat readily available, it is easier to stick to your diet plan. By having quick and convenient healthy options readily available, you are able to more efficiently and easily plan your meals. 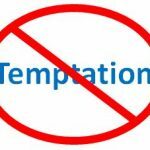 This will help you avoid the temptation to cheat on your diet as well as make it easier for you to reach your diet goals. If you’re on a fast diet, you can create your 500 calorie meal plan ahead of time, then cook and freeze all the meals you’ll need. Cost – Frozen ingredients are often cheaper than fresh foods in the first place. This can help you save money and make dieting a financially feasible option for everyone. As an additional benefit, large amounts of fresh food is wasted every day because it goes bad before you’ve had the chance to eat it, this never happens with frozen food. Understand your food – If you’re preparing your food yourself, you’ll have the added benefit of knowing exactly what is going into it. 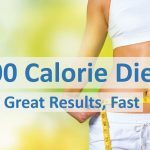 This is particularly useful if you’re on the 500 calorie diet, or any other kind of intermittent fast, as you’ll be able to measure out the number of calories in each portion. The excellent thing about freezing is that you can pick many of your favorite low calorie meals, prepare them in advance and freeze them so you’ve always got them to hand. But cooking needn’t be fancy. I’ve your got some frozen meat and veg, a sauce and some healthy carbs like brown rice, you can make a tasty meal with minimum prep every day. Breakfast Casserole: If you are looking for a quick and easy breakfast alternative to a bagel or toast, this Breakfast Casserole is a great option! Packed with protein and only 244 calories a serving, this low-carb frozen food keeps well in the freezer and helps you stay full all morning long. 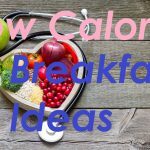 See other low calorie breakfast ideas. Butternut Squash Apple Soup: While soup may not be the first thing that comes to mind when you think of easy freezer meals, this Butternut Squash Apple Soup is a great way to meet your weight loss goals and have a quick and easy meal ready to go each day. Prepare a big batch of this 325 calories per serving soup and divide each serving into mason jars. Pop those jars into the freezer and viola! You have a quick and easy lunch ready to go each day. Spinach Lasagna Roll Ups: Finding a healthy meal for dinner that freezes well can sometimes be a challenge. These Spinach Lasagna Roll Ups get rid of that problem entirely. With only 110 calories per serving, these roll-ups can be pre-portioned for meals or frozen in a big batch to make dinner easier and healthier. Check out our post on easy 500 calorie meals for more ideas. 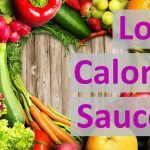 If you are worried about frozen meals becoming boring, it is easy to keep a stock of low calorie sauces on hand to add to your frozen meals. You can either make these yourself at home or purchase them from the grocery store. 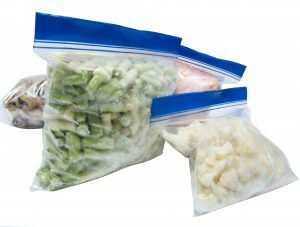 If you are making them yourself, packaging them in single serving bags and freezing them is a great way to make sure that you always have options on hand to add some new flavors to your meals. Many of the benefits listed above apply whether you are preparing the food yourself of eating TV Dinners. While historically these meals haven’t been all that nutritional or good for you, they have gotten much better over the years, especially with brands like Weight Watchers offering low calorie, ready to go frozen meal options. If you are not a great cook, it is not the end of the world if you add a few of these meals into your rotation every so often; however, it is important to keep in mind that it is not advisable to rely on these meals every day. If you are looking for some healthy options for frozen meals, there are some great low-sodium alternatives that give you all the nutrition you need without any of the additives and extra sodium that you don’t need. If you are looking for some low-sodium alternatives for frozen meals, you can find some options here. While freezing is a great option for almost all foods, there are a few things that just don’t freeze well. Here are some foods that you should avoid freezing. 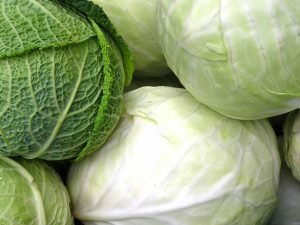 Cabbage, Lettuce and/or Cucumbers – While it can be tempting to freeze your fresh veggies, you should avoid freezing any type of lettuce, cabbage, or cucumbers. After these come out of the freezer, they are a limp, water-logged, and develop a gross and unpleasant flavor and texture after they defrost. Cooked Macaroni, Spaghetti or Rice – Unlike lasagna noodles, smaller noodles and rice do not take to the freezer well. Upon defrosting, spaghetti noodles, rice, and macaroni taste mushy and warmed over making them unpleasant to eat. Egg Whites – Egg whites are a great food for people trying to stick to a diet, but they do not do well in the freezer. After coming out of the freezer, egg whites are tough and rubbery making them an unpleasant way to start the day. There are a few reasons why frozen meals get a lot of bad press, including: being high in sodium and tasting disappointing when compared to fresh foods. This being said, there are plenty of low sodium options available nowadays and if you opt to make your own meals and freeze them for easy access, you can avoid the sodium all together. As for the not tasting as good as fresh food complaint, this can be easily avoided by using food at its peak of freshness and avoiding foods that don’t freeze well. Many times, meals that claim to be low-calorie or healthy in one area, are often unhealthy in other areas. 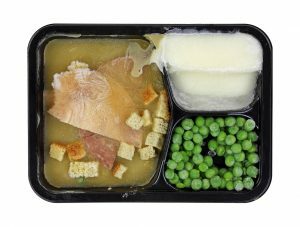 For example, some low calorie frozen meals may be high in fat or salt. Thankfully, the law mandates that nutritional information is readily available on the label of food packaging. 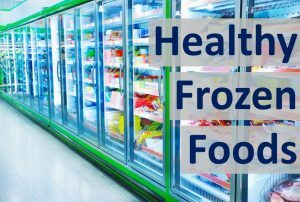 Make sure to check these when you are buying frozen food to ensure that they have all the nutrition you need and none of the extra fat or salt that you don’t need. Make sure that you are always checking the small print to see whether you are unconsciously polluting your body while you think you are being good to it. You should also make sure that you are on the lookout for additives and chemicals that are going into the food you are eating. Sometimes companies will improve the shelf-life, flavor, and appearance of frozen foods by adding chemicals and colorings. This is usually why there is so much salt in many frozen foods. While these chemicals do a good job keeping the food fresh and looking good, their impact on the human body is not fully understood. If you are focusing on the “clean eating” style of living, you will want to make sure that you are minimizing the chemicals that you are putting into your body. Obviously, if you are cooking and preparing your own meals, you don’t have to worry about this. Why Do Parents Buy Frozen Meals? Surprisingly, parents are some of the most frequent purchasers of frozen meals. This is mostly due in part to their convenience. By reducing the cooking time for dinner, parents can get more done and spend more time with their kids. There is some concern that this uptick in frozen food consumption by children could have negative health repercussions. Thankfully, by taking into account the points above, it is easy to avoid some of the negative aspects of frozen foods while keeping all of the convenience. If you want to make frozen foods and meal preparation work well for you, there are a few things that you need to keep in mind. For one, you should always keep a stock of frozen meat and vegetables in your freezer. This will ensure that you always have healthy food readily available. You should also keep a selection of healthy sauces in your cupboard or freezer to add some variety and spice to your frozen meals. Additionally, you should keep a small selection of non-perishable carbs in your cupboard too. My personal favorite is rice or brown rice if I want to be a little healthier. Finally, make sure that you remember to take your food out of the freezer if it needs to be defrosted prior to meal time! Study the proper cooking instructions carefully and make sure that you learn what can and cannot be frozen. With frozen meals at your disposal, you will be ready to meet your fitness goals and eat well in no time!